Matcha lattes should come with a warning. Something like: acquired taste needed. Drinking matcha tea for the first time is like trying a new vegetable for the first time when you’re a kid. You have to try it at least a few times to appreciate it. Matcha is everywhere these days. You can add it to smoothies, lattes and sauces. Even desserts color bright green these days. As it’s said to have about 10 times more antioxidants than green tea, it’s no wonder this green powder has made it to super food status. Needless to say I just HAD to try a matcha latte when I first saw it on the menu at a local coffee bar. This probably doesn’t come as a surprise but the bright green brew tasted nothing like what it looked like. You can’t really describe it. It tastes like … matcha. After many trials and error, determined to not give up on this power food, I’ve finally found a version that works for me: a vanilla matcha latte made with almond milk and a pinch of cardemom. Delish! Now that I’m a believer and a fan of all things Matcha I want to add it to EVERYTHING. Starting with bath bombs! Mix your baking soda, citric acid and corn starch in a bowl. Add a few drops of essential oil – I added 6 drops of ylang ylang. Mix well with a spoon or whisk to combine. Slowly add 1/2 to 1 tablespoon of rubbing alcohol. Check regularly to see if your mixture is ready. 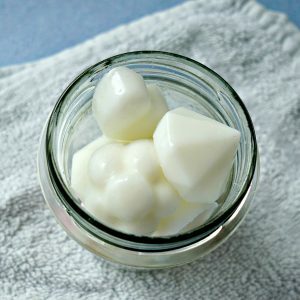 You can do this by taking a handful of mixture and squeezing it in the palm of your hand. The mixture should clump together like damp sand. If the mixture starts to fizz in the bowl or you see the citric acid turning into little bubbles you’ve added too much. Scoop 3 tablespoons of the white mixture into a separate bowl and set aside. Add 1 teaspoon of matcha powder to the remaining mixture. Mix well to combine all of the ingredients. Start filling one side of your mold. Add just enough of the green matcha mixture to cover the bottom. Push the mixture in place so the whole half is covered with a thin layer of bath bomb mixture. Next, scoop 1/2 to 1 tablespoon of the white bath bomb mixture on top of the green mixture, depending on the size of your molds. To make it look more like a real latte, I added some swirls to make it look like the foam art you see at coffee bars. To make them, draw swirls in the mixture with a pointy object (I used a chopstick). Make sure to touch the bottom of the mold while you do this. 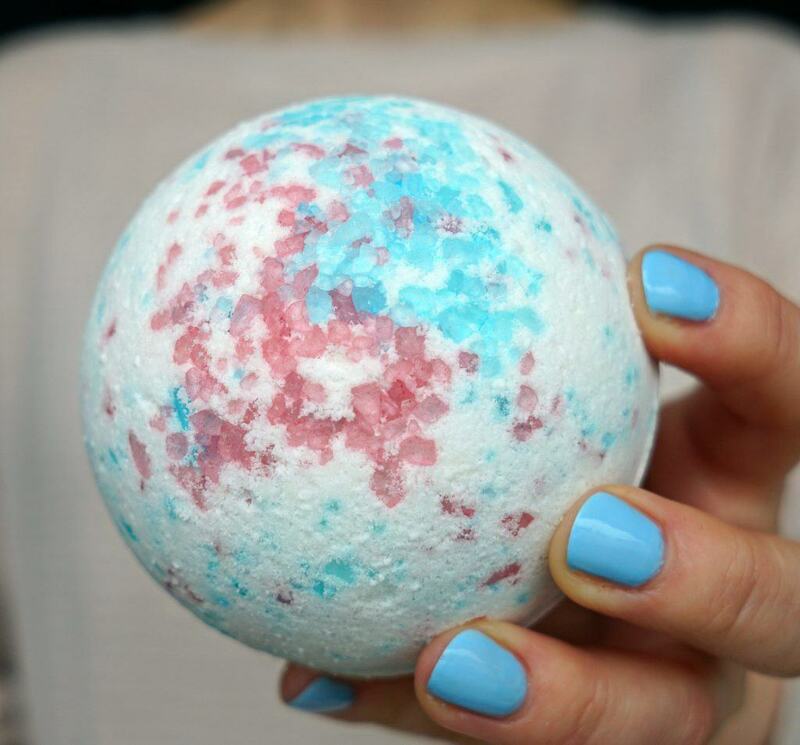 Now you’re creating swirls at the top of your bath bomb! Watch my video tutorial if you want to see how exactly I created these swirls. Fill up this half of the mold with more of the green mixture, until it’s overflowing. Press down firmly. Next, fill up the other side of the bath bomb mold with the green mixture. You can also add swirls on this side of the bath bomb if you want. 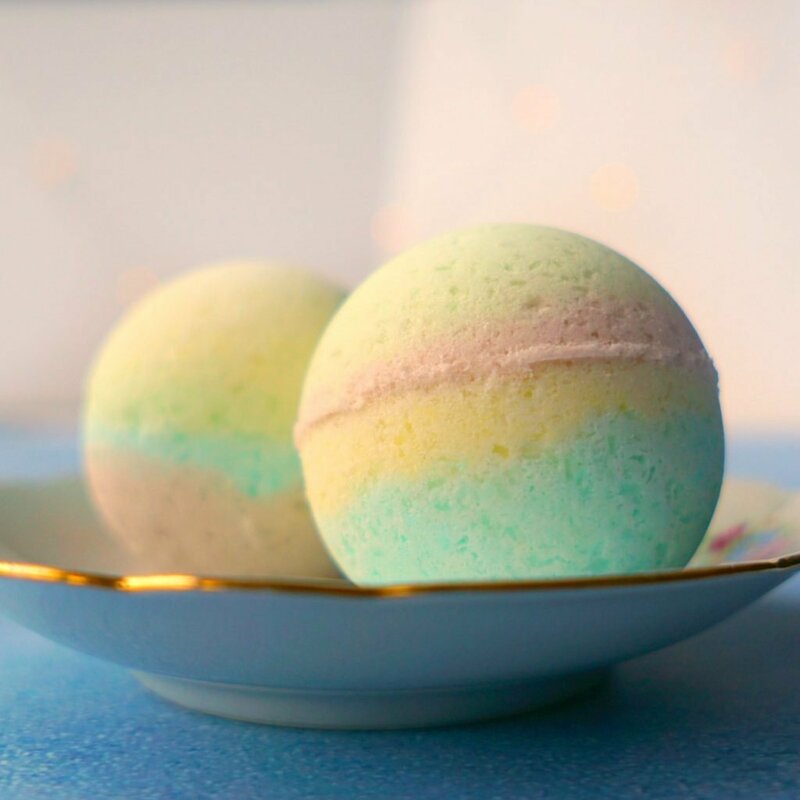 When both sides or packed, push them together to form a bath bomb. Let dry for several hours or overnight. Now they are ready to turn your bath water into matcha bath tea! Mmm, I love matcha! Will have to make these for a relaxing Friday night bathtub soak. ? And thanks for that great recipe. I gonna try next weekend ! 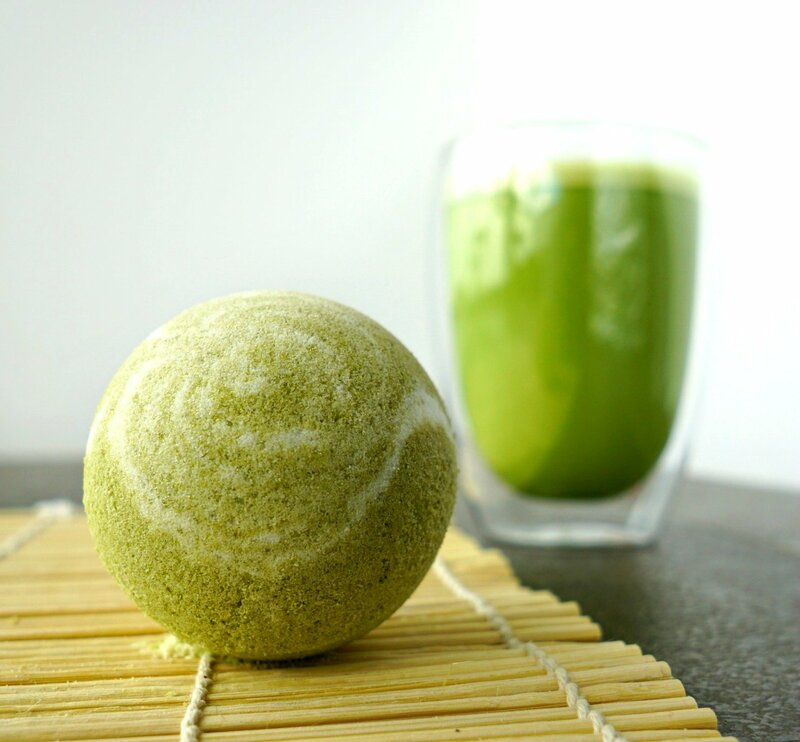 I’m a french woman totally fond of Matcha Tea, and I ‘m always looking for new way to use it. 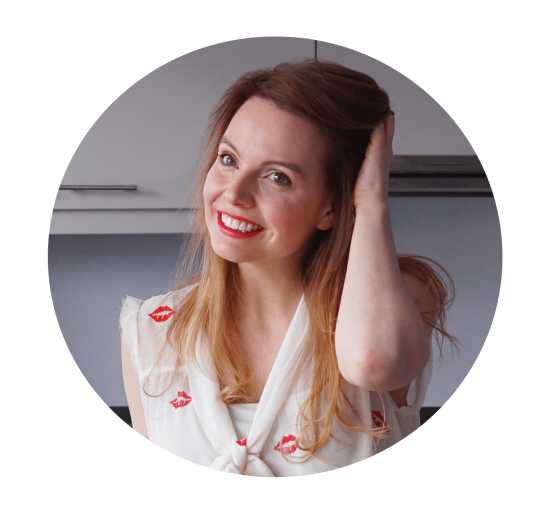 Of cours I made a link to you blog, and I’m now impatient to read new ideas from you…. Where do I get the molds from? Hi Kate, I used plastic bath bomb ornaments. 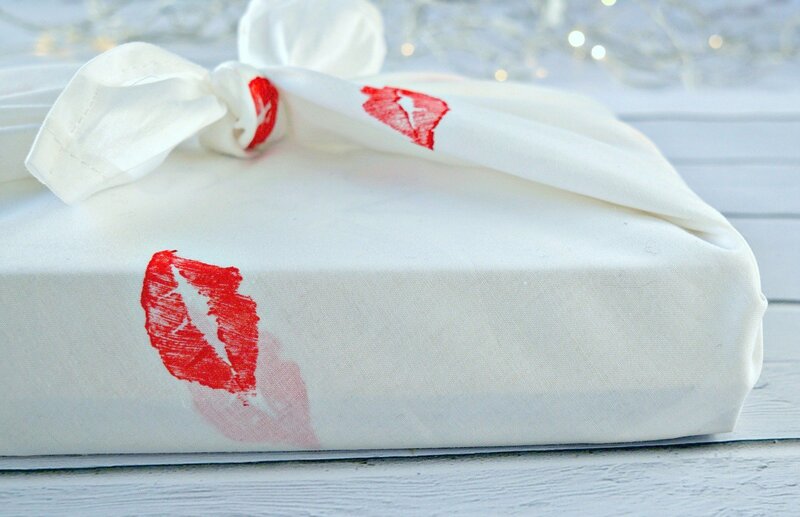 You can find these at craft supply stores (especially around this time of the year!) or online. 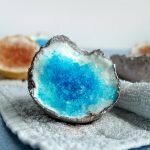 I’ve added a link to the ingredients listed in the post to make it easier for you to find them!